Price: Tickets are $25 per participant, $30 if registering on the day of the race, but until March 31 there is a $40 per couple rate. 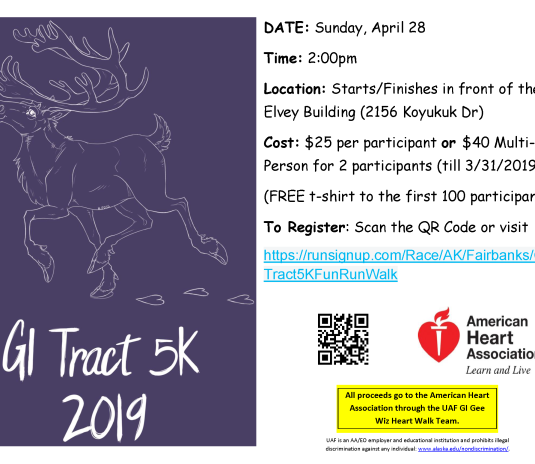 The UAF Geophysical Institute Gee Wiz Heart Walk Team is doing an GI Tract 5k fun walk/run Sunday, April 28, at 2 p.m. All proceeds will go to the American Heart Association. Tickets are $25 per participant, $30 if registering on the day of the race, but until March 31 there is a $40 per couple rate. The walk/run starts and finishes in front of the Elvey Building. To register visit the link below! 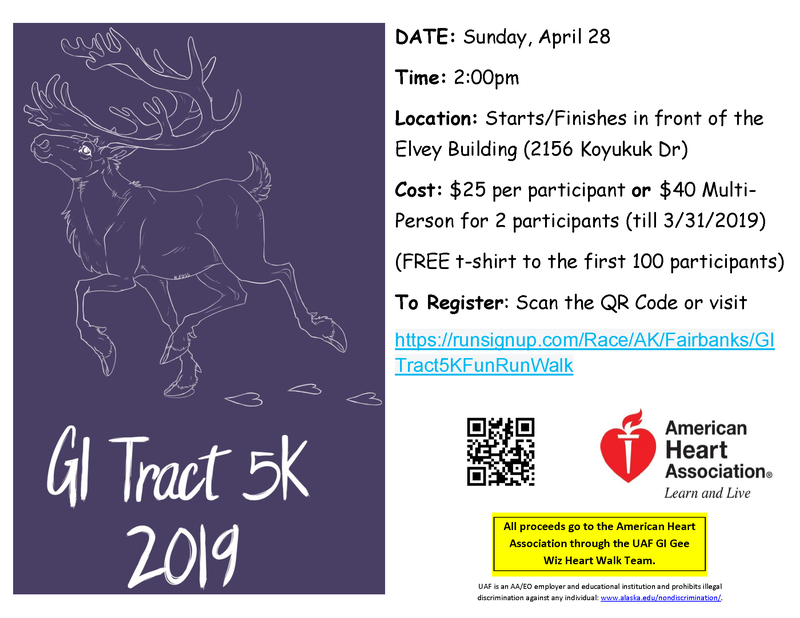 Tickets are $25 per participant, $30 if registering on the day of the race, but until March 31 there is a $40 per couple rate.